Last day we'd reported that the government is starting afresh with the Aakash 2 tablets and has decided to hand over responsibility of the tendering process to the Department of Information Technology (DIT). The primary reason behind the switch is believed to be the spat between IIT-Rajasthan and DataWind over the Aakash's specifications issues, which has led to an unprecedented stoppage of supplies. While DataWind managed to get the LC extension till March, IIT-Rajasthan may lose out on the Aakash deal. The government is now reportedly planning to take away procurement responsibility from IIT and hand it over to public sector undertakings. According to reports, PSUs such as ITI Ltd or Telecommunications Consultants India Ltd (TCIL) are being considered for the procurement of Aakash 2 tablets. Moreover, IIT-Rajasthan will be no more involved in the drafting of specifications and features of the Aakash 2 tablets. It will be taken care by the Department of IT, Ministry of Communications and IT. A special committee headed by the IT ministry is going to decide over future specifications of the Aakash 2 tablets, which is most likely to be a capacitive touchscreen and 1GHz processor. The committee will be facing a tough task of incorporating these features at the same price of $35. It's learnt that several other nations such as Thailand and Italy have expressed interest in procurement of the devices in their countries. The government plans to procure about 22 crore Aakash tablets in near future. 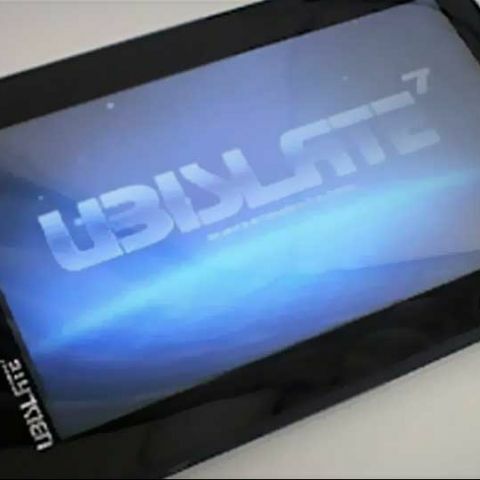 DataWind is presently supplying 10,000 units of the Aakash tablet to the government. The fresh tender for the Aakash 2 is likely to be of over one million units, and distributed among two to three vendors.